Apple has somewhat surprisingly approved an app which offers free USB tethering from your 3G-enabled iPhone and iPad devices. iTether may not be around too long so get it while the going's good. An app, which allows unlimited tethering to your laptop from your iPhone or iPad's 3G has arrived on the App Store... but for how long? The iTether app, which costs a one-off fee of £10.49, has somehow made its way through Apple's notoriously scrupulous approval process, despite the company's partnerships with the mobile phone networks that charge extra for using your iPhone or iPad as a hotspot. 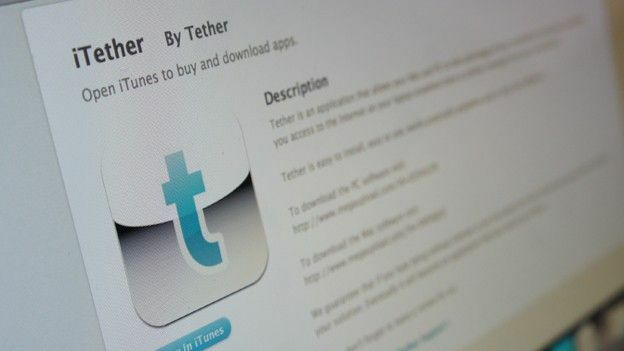 "Tether is an application that allows your Mac and PC to take advantage of your smartphone's data plan, providing you access to the Internet on your laptop anywhere there is cellular coverage from your smartphone," says the description on the App Store. You'll need to download software to your PC or Mac laptop and plug your iDevice into the USB port and you'll be good to go. It is unlikely that the app will remain on the store for too much longer, as soon as the networks get wind of how much money they could potentially lose. So, download it now before it's gone for good.